In 2017, the average kid in the US took home an allowance of around $8.74 a week, about the cost of a super-sized fast-food meal — or a really rockin’ fidget spinner. Although the amount may seem laughably small to the typical working adult, it only takes a little income to start instilling the right financial behaviors in an impressionable young mind. Financial opportunities, like allowances and part-time jobs, can help your child learn to budget and make wise spending decisions, but it’s also a good idea to start teaching them about building and using credit responsibly (before the potential consequences grow). While the types of credit available to those under the age of 21 are limited, you have options for helping your teen start off on the right credit foot. Despite the onslaught of hormones that make them tempestuous at times, our teenage years are some of the most significant of our lives. It’s during this time that we learn many of the key skills we’ll need to survive the Real World outside the hallowed halls of grade school. It’s also an ideal time to start teaching your child about credit. Of course, teenagers aren’t legally able to obtain their own credit card until the age of 18 — and there are some restrictions even then. That doesn’t mean you can’t help your teenager learn how to manage plastic; you can make your teen an authorized user on one of your credit cards or, if that sounds like trouble, get them their very own prepaid card. One of the easiest ways to help your teen start building credit is to make them an authorized user on a credit card in your name. Most major credit card companies — with the exception of Citi — will allow you to add authorized users under the age of 18, though Amex and Discover require them to be at least 15 years of age, and Barclays at least 13 years of age. 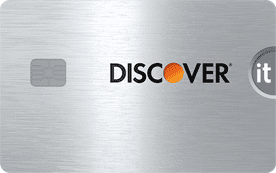 As an authorized user, your teen will be issued a credit card in their name that is connected to your account and will report to the credit bureaus to establish your teen’s credit. 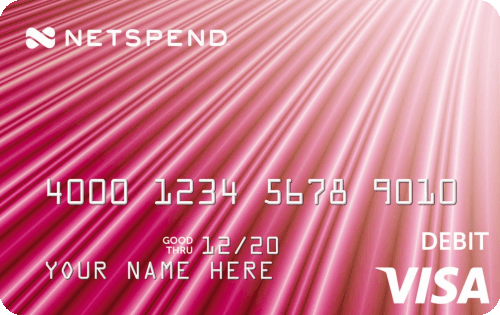 With the card, your teen can charge purchases to your account as if it were their own. 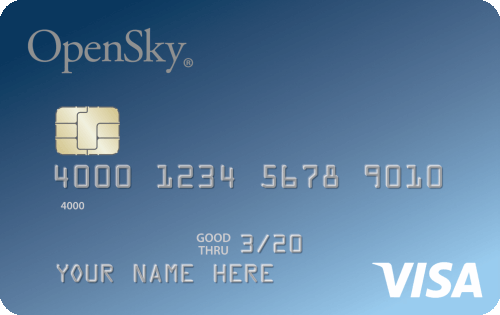 Authorized users can also enjoy most of the card’s perks, like purchase rewards and fraud protection. If you’re considering adding your teen as an authorized user, be sure to lay out clear rules before handing over the proverbial keys to the kingdom. Your teen should have a set spending limit so they can learn to budget, and you should encourage them to track each purchase (perhaps through a spending app or online banking account). 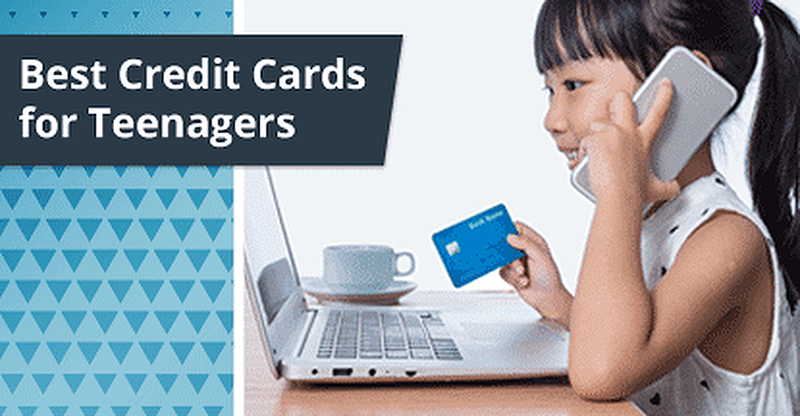 You may also want to include them in making the card payment each month so they learn the importance of paying on time — and the potential perils of interest. While the account and its balance will both likely show up on your teen’s credit reports, they won’t actually be legally liable for any of the debt — no matter how much they rack up. If the idea of handing your teenager an actual line of credit is scarier than teaching them to drive, then a prepaid card may be the way to go. 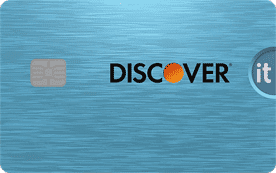 Prepaid cards that operate on a credit card network — think Visa, Mastercard, Discover, or American Express — can be used to make purchases anywhere that network is accepted, just like a credit card. 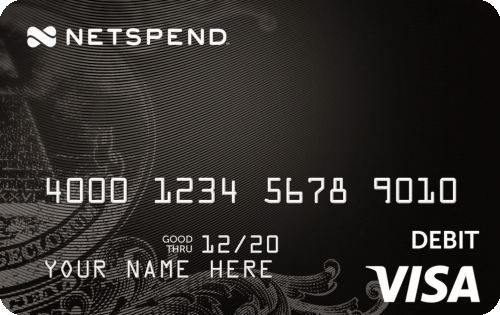 Unlike a credit card, however, prepaid cards are just that: prepaid. You (or your teen) can “load” money onto the card, and it’s those funds that are used to make purchases. Once the funds run out, more money can be loaded to continue making purchases. 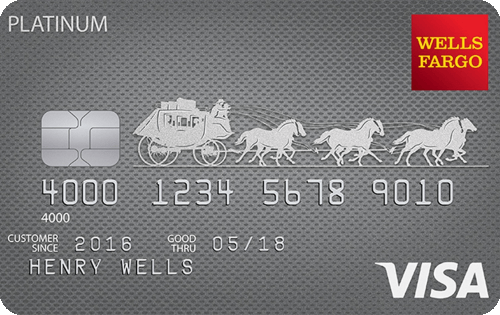 Many prepaid cards, like our expert-rated picks below, also accept direct deposits. Since prepaid cards aren’t associated with a line of credit, they won’t help establish or build your teen’s credit history — which can be both good and bad. On the one hand, your teen won’t be building good credit with their good financial behaviors; on the other hand, your teen won’t be building bad credit when they make the (inevitable) mistakes. While prepaid cards won’t build credit, they can be used to help build good credit behaviors. You should have your teen budget and track their card purchases to learn how to spend wisely. You may even consider having them make regular monthly “payments” on the same day each month to reload the card, which can help instill the on-time payment habits they will need with a credit card later in life. Once your teenager has hit the wise old age of 18, they’ll have options for obtaining their own credit card account. But it’s hardly the free-for-all buffet of credit card offers that you may have received on your own 18th birthday. In fact, your new 18-year-old will likely not receive any mailed offers at all. Why? The CARD Act of 2009 laid down strict rules that prevent those under the age of 21 from obtaining their own credit card unless they have a creditworthy cosigner or have an individual income. And there’s the kicker. Your teenager can’t claim the household income as their own, meaning they’ll need their own source of funds if you don’t want to cosign. The point behind the CARD Act was to ensure teens have a way of paying back their credit card debt before allowing them to actually take on any debt. Without an income, this means a cosigner who is willing to take responsibility for paying the debt if the teen cardholder cannot. Unlike authorized users, cosigners are equally responsible for the debt. 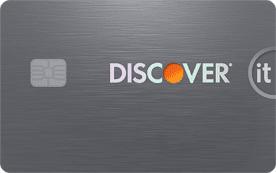 Because of the potential challenges in collecting debts from a cosigner — and the high rate of primary cardholder default on cosigned debts — most major credit card issuers aren’t fans of cosigned cards. 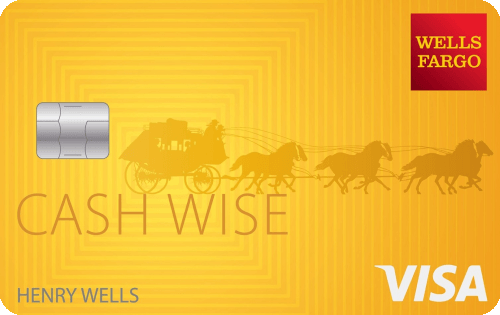 A few are willing to take on the risk, however, including Wells Fargo, Bank of America, and U.S. Bank. Some of our favorite card options for teen cosigners are below. The most important thing to remember about cosigning a credit card for your teen is that everyone’s credit will be affected. As a cosigner, your credit will feel any negative impacts if your teen adopts poor credit behaviors, including late payments and high balances. So, it’s doubly important to ensure your teen understands the proper ways to use credit before setting them loose with their cosigned piece of plastic. Not only should you show them how to budget and track purchases and how to make and remember monthly payments, but you should also make sure they understand the potential impacts of not doing these things. If you’re not too keen on cosigning for your teen during their “learning years,” then they’ll need to show an individual income to qualify for a card on their own. While there are no hard-and-fast rules on how much is enough, they’ll need at least enough income to cover their potential credit card debt in the eyes of the lender. As a student, your teen likely has a form of income that can legitimately be declared on a credit card application. That’s because, while they need to report individual income, this can often include regular allowances as well as extra income from scholarships or grants. Student credit cards in particular, like our picks below, may be more flexible on exact income requirements. In many cases, student credit cards will have more flexible credit requirements than other unsecured cards, meaning your teen’s lack of a credit history may not stop them from qualifying. And, with responsible card use over their college years, your teen can graduate with a healthy credit profile already established. 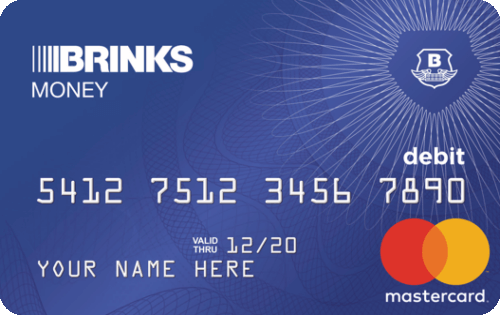 Additionally, many student cards come with the same perks and rewards enjoyed by adult cardholders, including some options for earning cash back rewards on purchases. Plus, student cards may also have student-specific benefits, like a statement credit for earning good grades, as well as low or no annual fees. 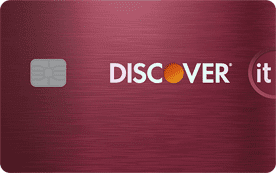 Secured credit cards can be an excellent option for teens who want to build credit without a cosigner but who have trouble qualifying for an unsecured credit card. While they are used just like any other credit card, secured cards are secured by the required deposit (deposit amount will vary by card). The size of the deposit will typically dictate the size of the credit line. The deposit reduces the risk to the credit card issuer — which is typically passed onto the cardholder through lower fees and interest rates. In fact, many of our favorite secured credit cards have no annual fee at all, with some even offering cash back rewards for card purchases. The deposit made for a secured credit card is placed in a locked savings account where it resides until the account is closed. Provided the credit card account is kept in good standing, secured card deposits are fully refundable, and some issuers may offer the ability to earn interest on the deposit, as well. Some secured credit cards can also be upgraded after your teen’s credit has improved. A handful of secured card issuers will regularly check the cardholder’s credit score and payment history to determine eligibility to be upgraded to an unsecured product. If upgraded, the deposit is automatically returned to the cardholder. For many parents, the time between your child’s first weekly allowance to their very first credit card can seem to flash by in a blink. Before long, thoughts of candy and toys will be replaced by car insurance and fuel — and then with the needs of their own homes and families. Given how quickly it can all go by, it’s important to take the time out to teach your teens how to manage money and credit while they’re still young enough to avoid major financial mistakes. A little bit of education in their teens can save them from a lifetime of bad credit and debt. While this doesn’t mean you have to give your 5-year-old a lesson in macro economics, you should start talking about money and budgeting whenever the situation lends itself to it. For example, a request for a pricey toy can lead to a talk about the difference between needs and wants, and how to save for both types of purchases.